But now that I’ve got my bitterness out of the way. . . Oh man, I am loving the concept of this new promotion, which I’ll just refer to as LTM to contain my annoyance. As a regular Guest at Disney Parks, I like to plan my trips around special events, whether Disney-hosted (like Star Wars Weekends) or fan gatherings (like Reunion 2012 – be there or be square). I enjoy seeing special decorations, going to talks or shows that just aren’t offered every day, and yes even buying special merchandise that you can only get at a certain time. As much as I hate the phrase “limited time,” there is something special about things that are only available, well, for a very limited time. Head on over to StudiosCentral to read the rest. Based on recent political contributions by Walt Disney World, we should probably be singing “It’s a Republican world after all” as we glide along through a classic indoor boatride. 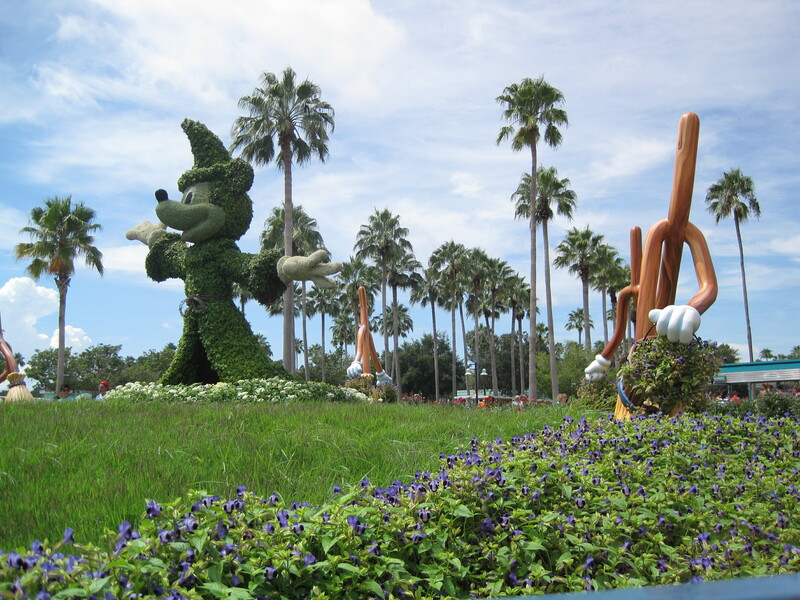 According to the Orlando Sentinel, “Walt Disney World has spent nearly $2.5 million on political candidates and causes in Florida so far this election cycle” (as of September 27, 2012), with approximately 90% of that money going to Republican candidates or Republican-leaning interest groups. Thanks largely to the pressure brought by the business lobby in Orange County, Fla., it appears the most magical place on earth won’t include mandated sick leave for workers anytime soon. Last month, Orange’s Board of County Commissioners voted to put off a ballot vote on a hotly contested measure that would require employers to provide workers with one hour of sick leave for every 37 hours worked, capped at 56 per year. By delaying the vote until after the printing deadline for the Nov. 6 ballot, the board’s move at least temporarily scuttled an initiative that 50,000 voters had petitioned to put to a public vote. I took a quick look at the current union contract for full-time WDW Cast Members, and full-time Cast Members can earn up to 48 hours of sick leave per year (assuming one works 8-hour days, that’s 6 days worth). That’s below the average for full-time workers in the US, according to the Bureau of Labor Statistics. And I’m well-aware that many Cast Members are neither full-time nor covered by the union. Any Cast Members have stories they’d like to tell? Plenty of room here in the comment section below. Jentasmic! Have You Thanked a Cast Member Lately? 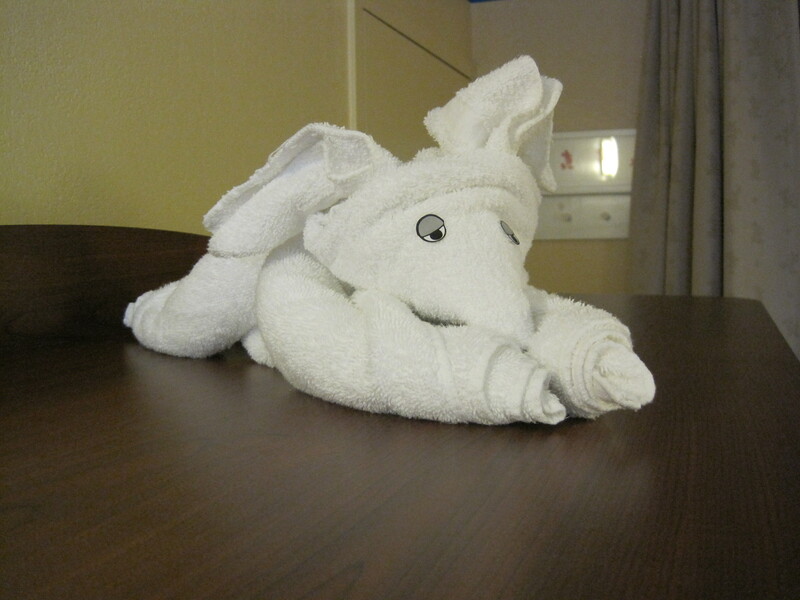 Towel animals don’t just make themselves, y’know. And yeah I have no idea what animal this is. Sloth? Puppy? Reindeer? I’ve said it before, and I’ll say it again: Cast Members need love too. This week I’m saying it at Studios Central in my Jentasmic! column. If you’ve ever had a great, magical time at Walt Disney World, there have been Cast Members to thank for it. Perhaps it was a cheerful face as you boarded an attraction, or a Princess lavishing attention on your child, or a friendly bus driver welcoming you aboard. Or maybe it was something truly exceptional, such as the time a kind Guest Services Cast Member gave my son a new Buzz Lightyear mug to replace one he’d lost in the mens’ room, or the manager at Le Cellier who replaced my entire outfit after an unfortunate experience with a tray of drinks. Or maybe it was people you never saw: The Imagineers who designed an attraction, the housekeepers who left towel animals on your bed, or the people who prepared your meals. Head on over to StudiosCentral for the full article. SOTMK is more complex (both in technology and game mechanic) and has greater potential for expansion and re-themeing than its Epcot equivalent, Agent P’s World Showcase Adventure (which recently replaced an almost-identical game themed to Kim Possible). Aaron DelPrince recently reviewed this game here on StudiosCentral. I agree with Aaron that the Agent P experience is a step up from the Kim Possible version. But SOTMK is in another league entirely, using full-movement animation and a wider variety of variables which will affect each specific interaction in the game. I waited . . . and waited. . . and waited. I guess you could say I’m dual-diagnosed, because I’m both a Disney fan, and a Star Wars fan. And still, I managed to avoid almost all spoilers about the recently-updated Star Tours attraction at Disney’s Hollywood Studios. I’ve got an analytical mind, and I find it hard to shut off. But that first time through, I was completely swept away. Darth Vader was there, and we were in his grip. My friend Eliyanna was a rebel spy! C3P0 and R2D2 managed to get us free, and before I knew it we were dodging AT-ATs on Hoth. Then a message from Admiral Ackbar (it’s a trap!!! ), and now off to Naboo! 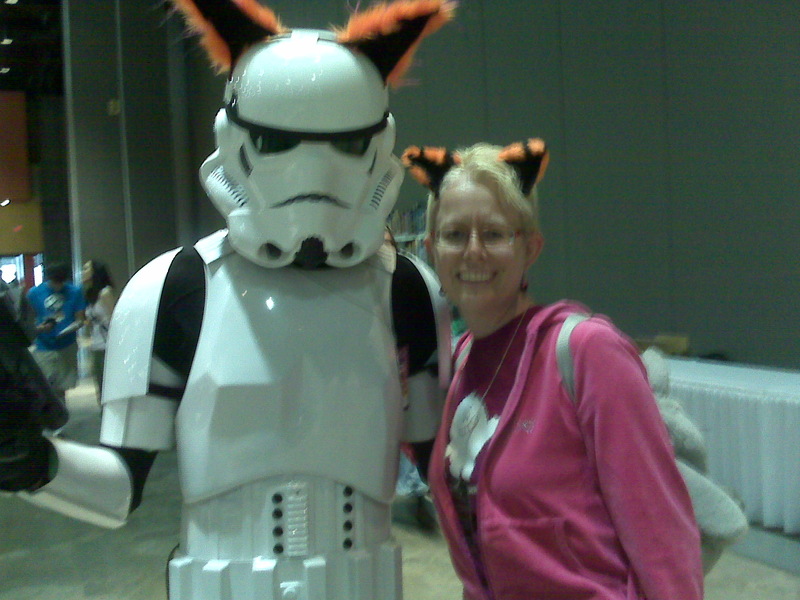 I was having so much fun even Jar Jar didn’t get to me. I do believe Matt will vouch for me when I tell you that after the ride was over, I was so happy I could have cried. Head on over to StudiosCentral to read the rest . . .